Before I had Lydia, I wrote a blog post expressing my fear of becoming uncool after becoming a mom. This post amuses (and embarrasses) me now because I am just SO COMPLETELY FAR from caring about that anymore. The fact that I even worried about it tickles me now. At the time when I posted it, one mother responded with something like, “After a tough night with my kid, I’m too tired to care about being hip!” I inwardly cringed. That’s exactly what I’m afraid of! You are an example of what I fear becoming! I promised myself I would never let that happen to me. Here’s the thing. Becoming a mother helped me see that I’m so frigging amazing that I just don’t give a crap what other people think. I made a HUMAN. Through giving birth and nourishing a new human being with my body, I discovered that I am capable of absolutely ANYTHING. I am amazing beyond comprehension. My body is filled with miraculous, unbound potential. In the act of giving birth, my fingers grazed the veil between this world and the next. I caught a glimpse of the Country Beyond, saw heaven in the eyes of a new child. It was absolutely mind-bending and soul-altering. After such an experience, whether or not I’m cool is just so beyond the scope of my caring. In mothering, I discovered that I am wise, powerful, and fierce. My body is strong and my soul expansive beyond anything I’d ever imagined. I contains within myself the terrifying strength of a wild animal and the ancient soul of a philosopher. After learning all this about myself, I realized with a laugh that all my concerns about being interesting to other people were PETTY. So, so petty. As a mother, I’m now awed by the bonds that are forged between women by motherhood. (All those “mommy wars” people are always talking about? I haven’t come across them.) I am in love with the ancient community I’ve found, that stretches back to the beginning of history — that connects me to the Great Mothers like Eve, Mary and Elizabeth. I am honoured to be a part of it. I can’t believe I ever thought motherhood was lame. I know there is at least one person in my life who thinks I have become dramatically less interesting since becoming a mother. And what astonishes me is how very little I care about that. I mean, it kind of irritates me that this person can’t appreciate the amazing person that I am, and I grieve the loss of our relationship; but really, it’s that person’s loss. That person is missing out. Let me be clear. I’m still sensitive about things. I want people to like my writing and to enjoy my company. I still make an effort to be likable. I’m cautious about sharing too many mundane details about my life as a stay-at-home mom for fear of boring people. I still try to dress somewhat fashionably — I don’t want people to think I’ve given up on my looks completely since becoming a mom. And I still struggle daily with other matters of self-worth — most notably, whether I’m accomplishing enough. But in the big picture, I don’t give a rip anymore about whether I’m cool — whether people admire me, whether people think I’m hip/stylish/interesting. I’m too busy being awesome and knowing it. I’m also less self-conscious about my physical flaws. Yeah, I still struggle with acne. My tummy pooches out a little. I always miss patches of leg hair when I shave. I don’t really care any more. I’m such an awe-inspiring being, these little things are insignificant. I know I think/talk/write about parenting a lot — perhaps to a nauseating degree. I know I’m kind of obsessed with my kid. I don’t go out much anymore, and never to hip coffee joints. I’m totally out of the TV/music/movies/arts scene. I don’t know what the cool kids are watching, wearing, or quoting anymore. This probably makes me totally lame and uncool. Please note that it wasn’t becoming a mother that made me (to my eyes) fascinating and marvelous. If you have not had children, you are no less incredible. It’s just that the experience of becoming a mother opened my eyes to the wonder that I am. I’d never realized before what an awesome creature I was all along. Before I became a mother, I didn’t know how nurturing I could be. I didn’t know how self-sacrificing and creative and wise I could be. I didn’t know how incredible my body was. Now I know. And this knowledge is so overwhelmingly more significant than anyone else’s opinion of my relative coolness. So I am NOT saying that you have a have a child to discover these things within yourself. It might be some other great challenge that causes the blinders to fall from your eyes and allow you to see what a wonderful creature you are. It will probably be something that pushes you beyond anything you’ve ever done before — moving to a new country; some kind of mission work; caring for an ill or elderly person. Who knows. But hopefully something will help you to see what a marvelous work of Creation you are. Becoming free from the Need to be Hip has been one of the most liberating experiences of my life. I wish the same for young people everywhere. When I was 18 and not at the weight I wanted to be at I felt like a disgusting human being, but being a 19 year old mother I felt like I had an amazing body for being a mom! And I still feel that way! I’ve had two kids now and I feel and I think look better than I ever have before! I have a few stretch marks, my tummy pooches out a little too, and my breasts will never be the same*, but I’ve earned it! 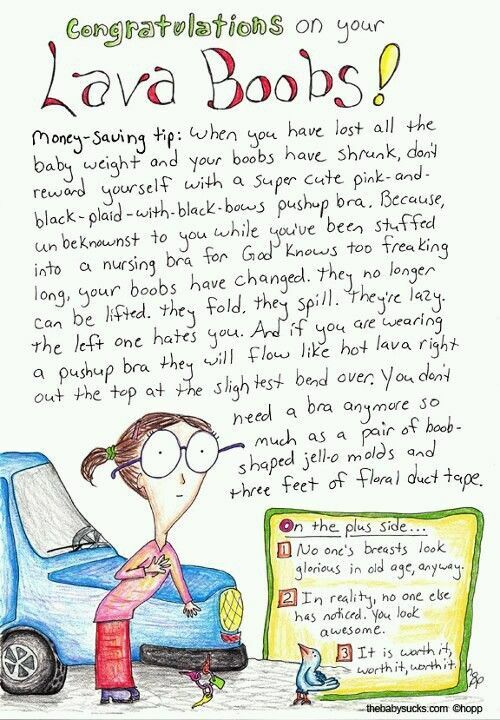 I have a reason my body is this way and it’s an awesome reason. My husband also for some reason thinks I look better than ever before… or at least he says he does! And I’ve a feeling it has something to do with my confidence level! RAEANNE!!!! You are literally one of the most physically beautiful women I have ever laid eyes on!! I can’t believe you’ve ever felt bad about your looks!!! I’m so glad to hear that motherhood has given you this new confidence, too. Yay for motherhood! You totally ROCK Kathleen!!! That’s why I read you; you’re raw and inspiring and honest and funny and wise… Being yourself is what makes you absolutely cool and comfortable in your own skin and I’m glad you are in that space. Even though I don’t have children, I find your writing really interesting and it gives me a glimpse of what that life would have been like if I had conceived; AND it gives me enormous compassion and respect for all my Mama Friends out there livin’ it, every day. Plus all the interesting and thoughtful posts about your Faith and natural, mindful living, it a Joy to read your blog. Thanks for sharing your life with us. You are too kind, PepperReed. Your comment really made my day. Thank you. SO TIMELY. I’m sitting here 41 weeks pregnant with no end in sight, with bronchitis, feeling crappy and exhausted and wondering how I’m going to parent effectively if just being pregnant is so darn tiring. So this is perfect and beautiful, especially your description of the experience of giving birth. I have felt pretty awesome about my body and myself in general since being pregnant though. I am pretty hugely pregnant and even on the few occasions when people have been rude about that, I totally just beam and feel awesome. :) So that’s pretty cool. Great post!! The two things that overwhelmed me when I gave birth to Constance were, one, that I didn’t know my soul had the capacity for that kind of love and two, wow – you really never ever do get a break from baby – but that’s OK because of fact one. Some really beautiful thoughts are expressed in this blog entry. It’s simply lovely. Thank you. 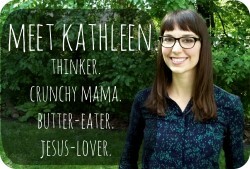 Haha, I <3 you, Kathleen. I think I struggle with this in another way. Suddenly, there's a whole bunch of things you ought to do/wear/think if you want to be cool with certain groups of moms. Coolness isn't staying out late at parties anymore, but it is cloth diapering/ECing/babywearing/real fooding/raising chickens/natural birthing/WHATEVERING. And doing some of those makes you not cool to the mainstream moms, but not doing all of them makes you not cool to the crunchy moms. So basically I'm STILL not cool and I guess I never will be, and every time think I'm okay with that, something happens to show me I'm really not, quite. Too much crunchy for some, not enough for others. Oh, well. Maybe they’ll just like me, if they see me. I Don’t Care About Being a Cool Mom – right on.